Relaxing capital controls is needed fast, argues Beida professor Paul Gillis at his accounting weblog, as he analyses the position of Chukong Holdings Limited. They filed last week for a US IPO, but also use a so-called variable interest entity (VIE) structure, a source of many problems, argues Gillis. Investment opportunities are huge in food, as scared consumers flock to salad bars and vegetarian restaurants to find safe food. 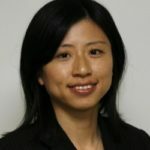 WSJ´s wealth editor Wei Gu explores the news developments with Peggy Liu of the Joint US‑China Cooperation on Clean Energy’s (JUCCCE) in Shanghai. China has been raising wages over the past decade, and many manufacturers have been contemplating to move to neighboring countries, like Cambodia. But being cheap is not enough for those ASEAN countries to attract production from China, warns author Shaun Rein of The End of Cheap China, in the Phnom Penh Post. Real estate giant Wanda is expanding its upscale hotel chain, both domestically as international. Wanda Hotel and Resorts wants to be a top-player in their industry, tells China Rich List founder Rupert Hoogewerf in CRIEnglish. The latest bid for the New York Times by tycoon Chen Guangbiao might have been a joke, but there are good reason for Chinese entrepreneurs to go abroad. WSJ´s wealth manager Wei Gu discusses with CEIBS´Oliver Rui why their position with local government is a key reason to invest. China’s government tries to move from an investment-driven economy to a consumer-driven economy. But it is not obvious China’s consumers will follow suit, explains marketing expert Tom Doctoroff in AdAge. The reforms announced after the Third Plenum might not offer a enough to guarantee financial stability in China, writes financial specialist Sara Hsu in Triple Crisis. China’s financial authorities should focus on shadow banking, in stead of monetary tightening that could slow down economic growth. The China Speakers Bureau is happy to announce that Paul Gillis, professor of practice and co-director of the IMBA program at the Guanghua School of Management at Peking University, will join its group of acknowledged speakers. One of the financial markets off limits for foreigners were China’s stock markets. But that might slowly change, and Shanghai-based business analyst Shaun Rein explains in Marketplace what is happening on the ground. Consumer confidence is back on track, and investors see China again as a safe haven, argues business analyst Shaun Rein on Bloomberg TV. Consumers are spending money again, after the government made small, but significant moves to shore up confidence.